Shin Megami Tensei IV will launch for 3DS in Europe this September via the Nintendo eShop for €19.99 / £17.99, Atlus announced. Can't wait to hold that digital release in my hands. I'm down with the city setting, and that sure is a kid with a haircut. Persona is back. 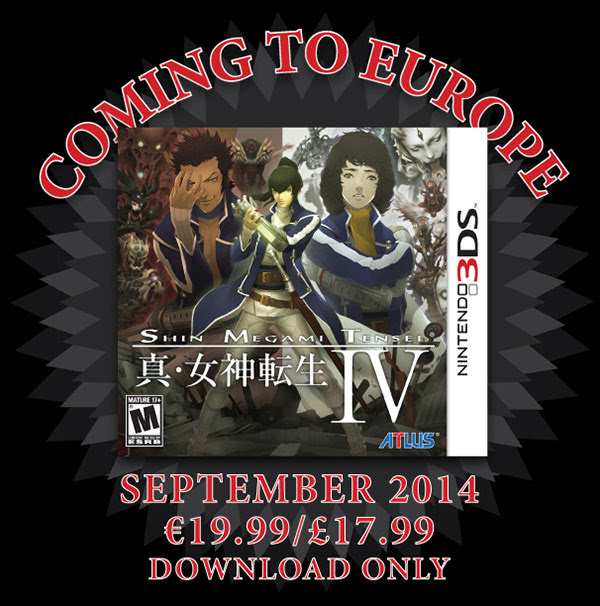 Well I am interested in SMT4, and I will get it when I get a 3DS. But I suppose a delay doesn't bother me as will have been out a while by time I get one. I was gonna get a 3DS this Winter but now with the cpu upgrade on the way...I guess the only thing to do is wait for that one. Persona 5 trailer is cool. Is it just me or does that logo look very like Gran Turismo? 15 months between the American release and the UK...poor show Atlus. I'm still looking forward to it though. It was one of the main reasons I picked up a 3DS. Persona 4 Arena Ultimax launches in Europe this November for PlayStation 3 and Xbox 360 courtesy of Sega. Atlus and Ark System Works' 2D fighting game expands upon Persona 4 Arena with new characters, including Junepi Iori, Yukari Takeba, Rise Kujikawa and more. Also new is the Shadow type for some characters, which changes the way they fight. Persona 4 Arena Ultimax comes out at the end of September in North America. It's already out in Japan. In Europe it'll be available both on disc and as a download. The news came out yesterday but no-one else posted it. Maybe no-one cares but I do a lot. Nice to see Sega getting this to us in a timely fashion. I was expecting it next year sometime. They've got the best waifus in this one, too. Atlus debuted a new trailer for Persona 5 during its Persona Super Live 2015 concert in Nippon Budokan this evening. The trailer introduces the protagonist as the mysterious Phantom character from today’s Yomiuri Shimbun advertisement, as well three additional characters: the blonde guy Ryuuji Sakamoto (坂本竜司), the girl Anzu Takamaki (高巻杏), and a cat named Morgana. Gameplay scenes include everyday life, menus, dungeons (where we see stealth and jumping elements), and battles (where we see each character don their own masks). The trailer ends with what looks like the protagonist transforming into his Persona. First-print copies of Persona 4: Dancing All Night will include a Persona 5 Special Movie Blu-ray disc containing special video of the game. More information is expected in next week’s Famitsu magazine. Watch the trailer below. Visit the game’s official website here. Everyone is Batman in the game? Sweet. Looks like they're trying to mix it up more gameplay wise. Not sure if a basic sort of Etrian style dungeon crawling would be enough anymore. Im excited for it though. With this, Xenoblade and the new FF it might actually be a decent year for JRPG's.. They've put cinematography in it. It certainly looks like it's going to rule and own. I wonder how that stealth stuff will work. Just seen that myself, absolutely incredible cannot wait for P5, will be importing from the US if it doesn't make it to Europe this year. Oh yeah, videogames are cool. Thanks for reminding me, Persona 5. Persona 5 has been delayed to summer 2016 in Japan. The Atlus role-playing game saw the release of a Tokyo Game Show trailer today, and in it the revised launch window was revealed. Persona 5 had been set for a worldwide launch "winter 2015", so no doubt the delay affects the game's western launch, too. Still, the trailer, below, softens the blow somewhat. It gives us a good look at the PlayStation 4 and PS3 JRPG, albeit with Japanese voiceover. Heartbreaking its been delayed again, but I guess it will pay dividends in the long-run. 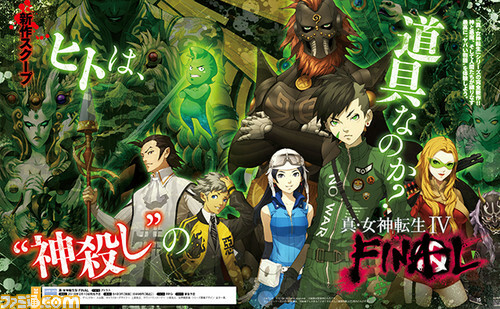 It's based on the Shin Megami Tensei 4 setting, but looks like all new characters to me, even a couple of new demons maybe?